This lesson will explain the theory behind diminished guitar chords and their function. There's a lot of confusion around how diminished chords work in music. I often get asked the question of "when to use them" in a chord progression. As with music in general, there are no hard and fast rules (except "if it sounds good, play it! "), but I'll take you through some of the tried and tested functions diminished chords can serve in your music. 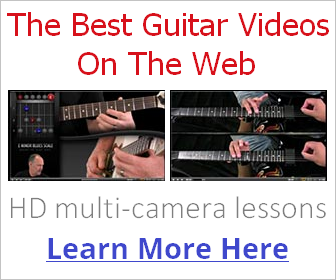 Even if you were just looking for a chord chart (which is further down the page), read through the whole lesson, split over a few days, as it will prove very rewarding as far as developing your improvisation and songwriting skills. Diminished chords ("diminished" referring to the diminished 5th in the chord) have an unstable sound. They create an air of tension and unresolve (hear the examples below) which is what makes them wonderfully intriguing chords to use in your music. 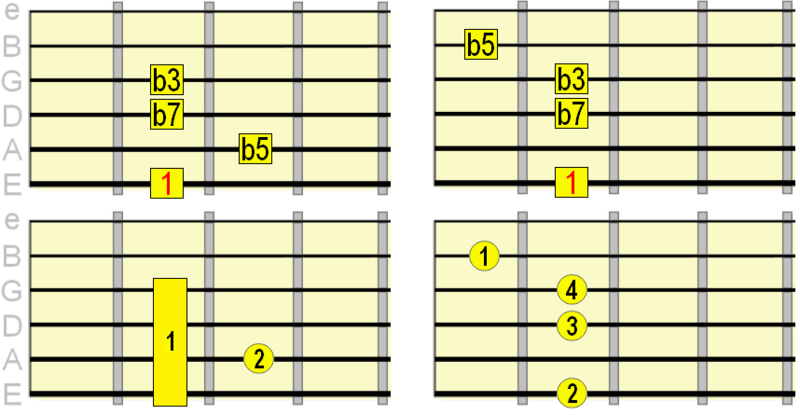 There are 3 main types of diminished chord, as shown in the table below. Note that if you see the ° symbol after the chord letter (e.g. C°), it means "diminished". When typing, some people just use "o" as the proper symbol requires digging out the character map! 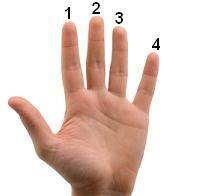 As you can see, there's a common occurence of the root (1), b3 (flat/minor 3rd) and b5 (flat 5th) in the three types. These are the most important tones in any diminished chord or scale. The flat 5th in relation to a minor 3rd is what gives it that unstable quality. So, a diminished triad can simply be thought of as a minor chord with a flat 5th. A half diminished chord is the above diminished triad with an added flat 7th. This chord is also sometimes written as m7b5 (minor 7 flat 5) e.g. Cm7b5. A diminished seventh chord is a diminished triad with an added diminished 7th. That's another way of saying "double flat 7th". So the only difference between a dim7 and m7b5 chord is the 7th is flattened another semitone in dim7 chords. First, just make clear in your mind these distinctions as each one has a different sound and function which we'll look at shortly. To help you play along throughout this lesson, here are the most common diminished guitar chord forms used in chord progressions with their fingerings. Note that I haven't included diminished triads, because these are most commonly extended to half diminished or diminished 7th. You can see how the triad exists in both these types. As mentioned earlier, occurences of the diminished triad are often extended to half diminished or diminished 7th chords, because they sound more... interesting. Essentially, you're playing the diminished triad in both those variations anyway, so they're just a meatier, more colourful version of the triad. So, whenever there is an occurence of a diminished chord then you should try both m7b5 (half diminished) or dim7 and go with the one that sounds best to you. Let's look at some typical uses of the chord. In major keys, a half diminished chord naturally occurs on the 7th degree (called the leading tone or vii). In plain English that means whatever the major tonic (I) chord is, the diminished chord naturally sits one semitone/fret down from that. That's just a few examples. You should be able to see this same leading tone chord - tonic relationship no matter what key you're in. In minor keys, and especially minor keys based around harmonic minor, a diminished 7th chord is the natural leading tone chord (click to hear example). You can hear how the tension in that half diminished iii chord is transferred to the augmented 7th chord before the natural ii V I resolution. You could also do the same with a minor tonic. What this does is destabilise the tonic for added interest. Essentially, you can fill any whole step interval between two chords in a scale with a diminished 7th chord. Those are pretty simple progressions, but using that diminished 7th "plugging" technique adds some spice and unpredictability. You can also do the same with minor key progressions or any progression that uses whole steps. If you look at the intervals of a diminished seventh chord, you'll notice that each one is separated by a minor 3rd. In other words, there is equal spacing between each note of a dim7 chord. This gives the chord what is known in music as symmetry. It means we can apply a pretty cool trick when playing the chord in a progression. 1) Start by playing a Cdim7 chord (or any root). 2) Keep that same chord form and move it up 3 frets (that's the equivalent of a minor 3rd interval). So Cdim7 would move to Ebdim7. 3) From that new position, move another 3 frets, again keeping the same dim7 form. From Ebdim7 we'd end up at F#dim7. Tip: Don't just move in minor 3rds using one root string. Try moving in minor 3rds from the E to A string and A to D strings, using the chord shapes you learned earlier. Because of the symmetry of the dim7 intervals, moving in minor 3rds like this produces exactly the same chord, but each new position is a different inversion of that original dim7 chord. Practically, that means whenever we choose to play a dim7 chord, using any of the functions covered in this lesson, we can also play any of its related positions based on its minor 3rd intervals. Because of this minor 3rd symmetry, Edim7 is actually the same as C#dim7, its intervals are just inverted, changing its voicing. All I'm doing there is moving in minor 3rd intervals (up or down the fretboard) whenever I use a diminished seventh chord. It was just an example, so don't overuse it! I hope this lesson has given you some fresh ideas for your songwriting. Keep experimenting with using diminished guitar chords in different ways.